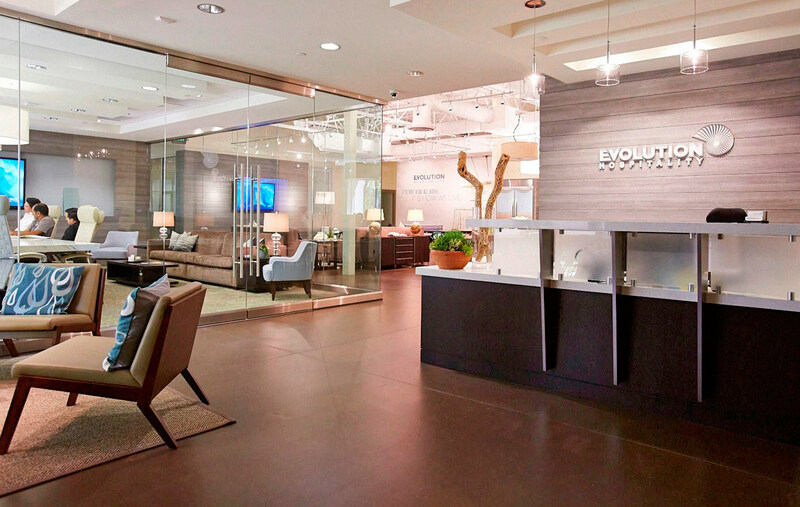 After collaborating on the Anza Hotel with C+TC, Evolution Hospitality asked the designers to reinvent their own workspace. 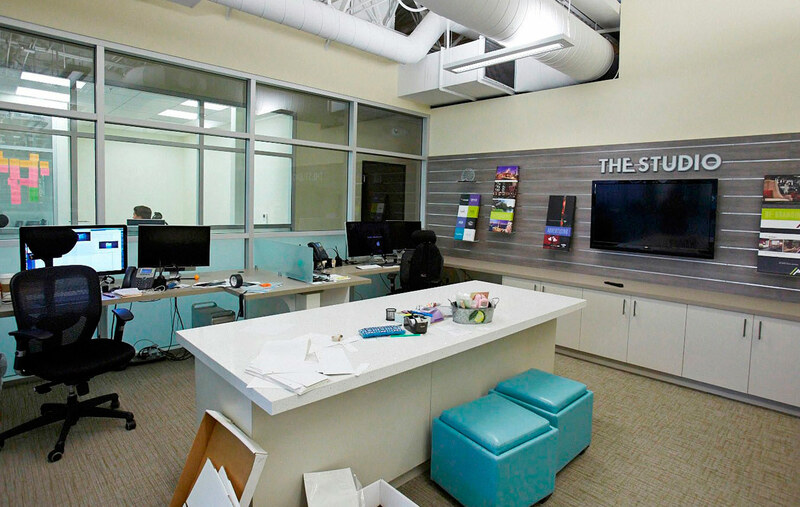 The relocation of the corporation’s main offices to a 20,000 tenant fit-out space allowed C+TC to rethink the workplace squarely through the lens of hospitality. 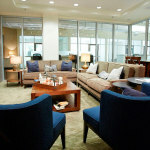 Open space abounds and the central great room invokes a more residential feel than normally encountered in the workplace. 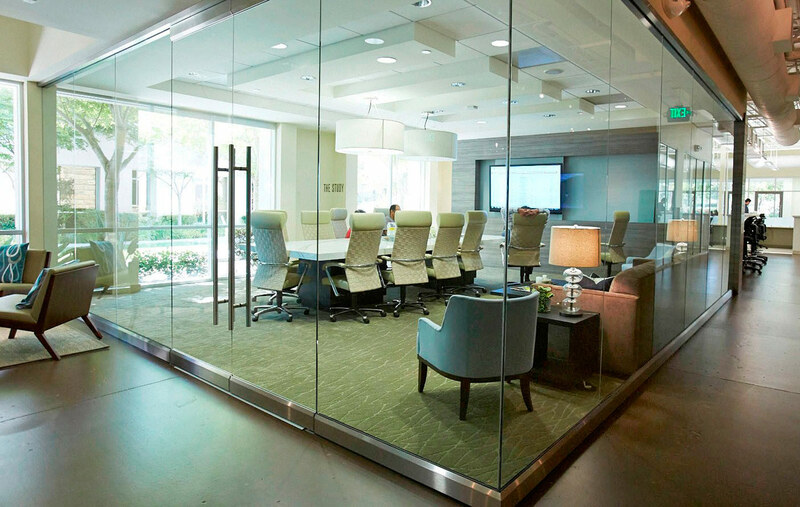 Conference rooms and offices all occur behind glass partitions, allowing light and sightlines to continue through the space. 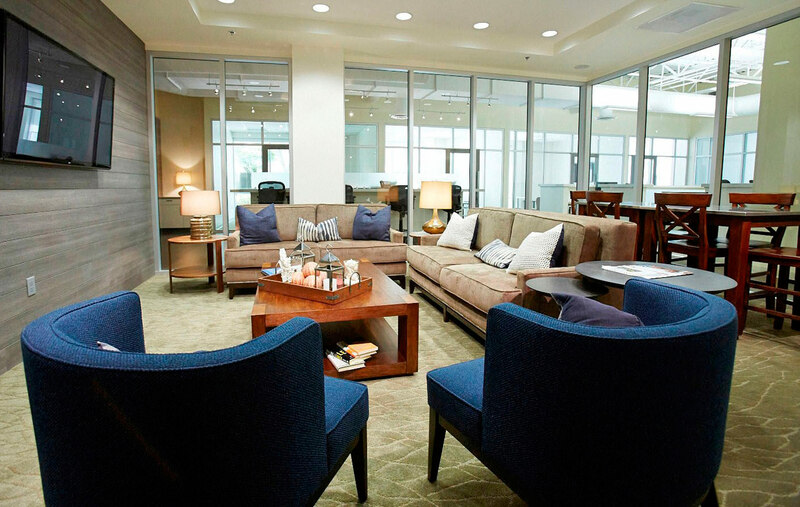 The main conference room opens out directly into the lobby, welcoming visitors. 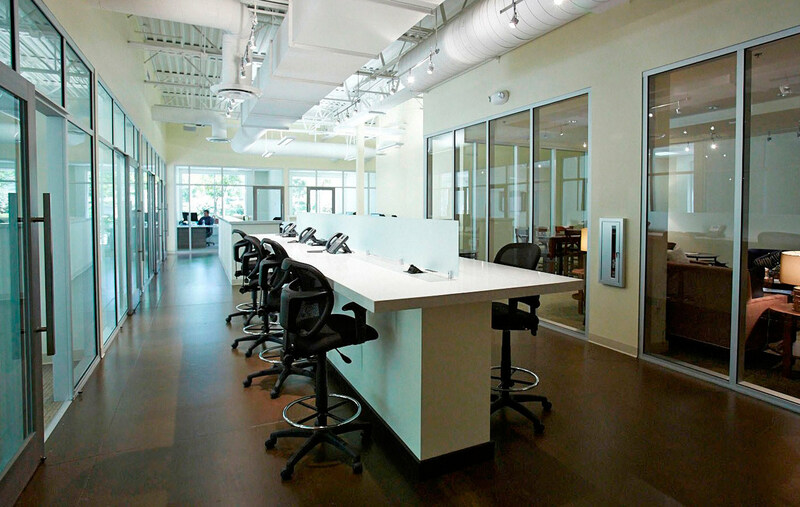 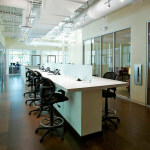 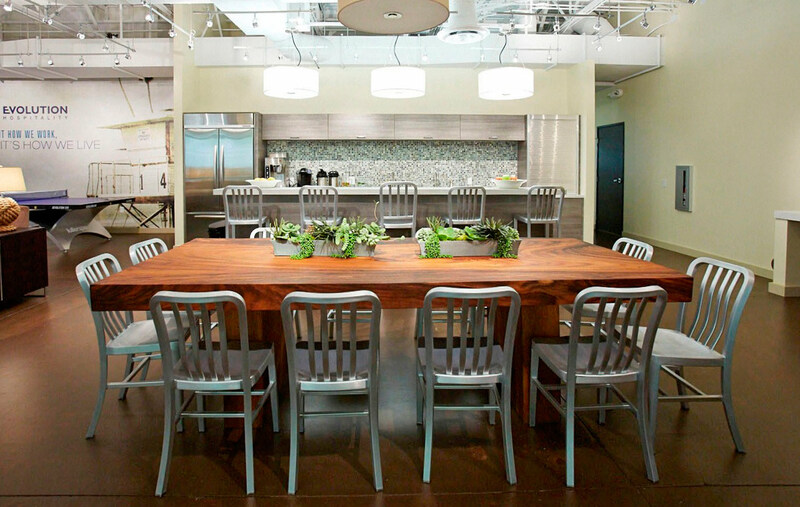 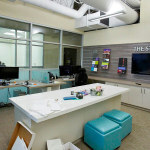 The design studio provides a shared open space for Evolution Hospitality’s ideas to flourish and develop. 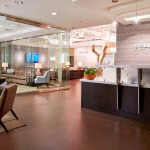 Evolution Hospitality’s new home showcases a full complement of audio, visual and connectivity technology, encouraging maximum flexibility in the collaboration process. 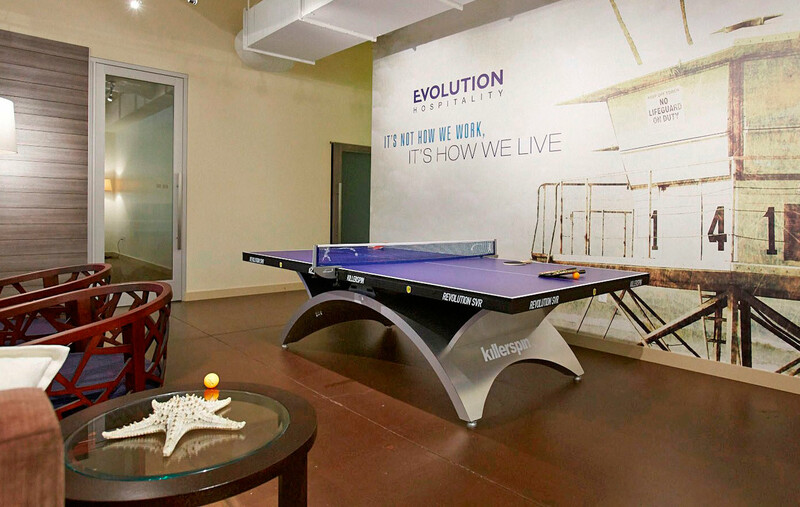 The lounging and break area at the Evolution Hospitality Offices. 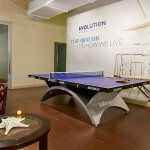 A lounge room with ping pong table.